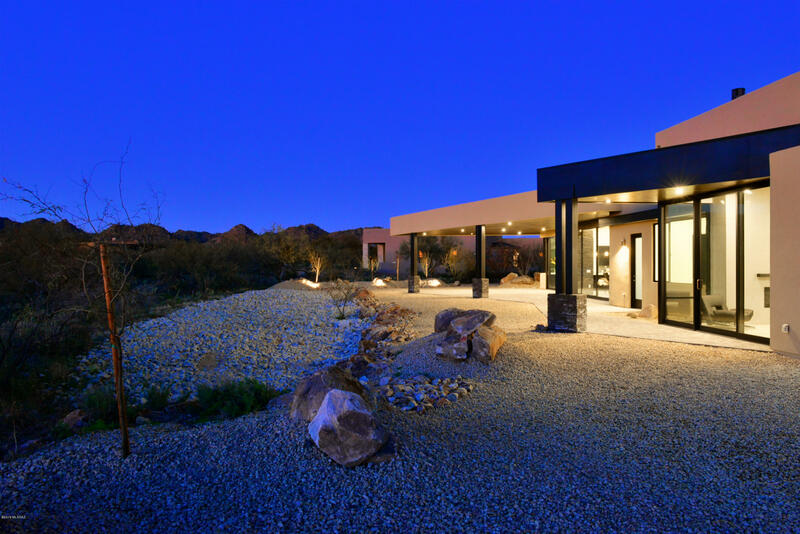 Stunning contemporary architecture designed by Marc Soloway. Located on .76 acres in the exclusive guard gated Stone Canyon golf community. This contemporary open floor plan is complete and has 3 bedrooms and 3.5 baths, with an extra room that can be used as an office/den/workout room. The 3639 square feet have been thoughtfully laid out to maximize the surroundings. Step out onto the backyard and take in the beautiful unobstructed Tortolita Mountains.